Coaching is a rewarding profession. Coaching is a tough profession. It takes a lot of hard work to work your way from rookie to successful head coach. In the process most of us pass through these 5 Stages in our careers. Let me tell you what I think about coaches: we’re crazy in our preparation and dedication, we work long hours and love it, we give up our nights and weekends, we mentor our student-athletes, we demand big things from them and even more from ourselves, we’re passionate in our belief in our team and our love for our sport, we believe in the power of sport to have a positive and long-lasting impact in our athlete’s lives. So when I saw “The 5 Stages of Your Career” over at Bob Starkey’s blog, I wanted to expand on it over here. It’s interesting to figure out what stage you’re in and those that you’ve already gone through…or have you circled back around to some you thought you were finished with? Check them out and see what you think. Coaches, you remember what this stage felt like don’t you? Or maybe you’re in the middle of this stage now and feel like you’re flailing. I remember being beyond clueless…that’s back when I thought I just needed to know volleyball to be a volleyball coach! Turns out also I needed to formulate a recruiting plan, balance a budget, create practice plans, order equipment, manage assistant coaches, and make in-game adjustments. Color me unprepared, but thank goodness for a veteran coach who took me under his wing. Your motivation? Winning, plain and simple. You’re obsessed with conquering the competition and put in hours and hours of your time to make it happen. Being the best is what drives you and to be the best, you need the tangible accolades that go along with that: lots of W’s in the win column, all-league awards for your team, and maybe a coach of the year for you. 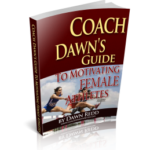 Now that you’ve achieved a few of your goals, you can relax and know that you’re a good coach and you have the respect of your peers. You attend conferences to network and visit with old friends as much as you do to learn some new things…you’re getting established. Each year you set new goals to accomplish that will push you and your team forward…you’re focused. At this stage you’re more concerned with how you impact your teams and your legacy than you are with personal glory…after all, you’ve already accomplished a lot. Now you want to make sure your teams understand the value of sport and hope that you’re teaching them how to be better people, not just better players. With all of your experience and years in the game, you’re very knowledgeable. And because of the success you’ve had in your career, this is the stage where people solicit your opinion and ask for your help with their coaching conundrums. The busses, the trips, preseason, recruiting, the hustle, the grind…you’re over it. You’re ready to hang with the family and actually make it home before nine o’clock at night. And your weekends? You want them back. Not even the prospect of that super sweet and talented recruiting class that you just brought in is enough to bring you back into the fold. As much as you love your sport, you’re just not that fired up about the season this year…it’s time to hang it up. WOW! Nailed it! All 5 stages …over 22 year span. Nice job with this article! Hope you rookies are paying attention! Yeah WOW ! I’m almost 30 years into coaching and still love it! We need lots of QUALITY younger peeps to join the ranks…with QUALITY being the operative word. OUTSTANDING article,brought back lots of memories….Thanx! A perfect snap shot of my coaching career. Stepping down this spring following a 42 year stint as head track and cross country coach. Thanks for the comment and good luck in your retirement!